Dump truck drivers transport of materials of different substances such as gravel, dirt, and coal by making use of an open-bed truck. Most frequently, they work in industries including the construction as well as the agricultural areas. The dump trucks used in construction are being equipped with hydraulic bed which has a mechanical operation. There are also a number of times wherein the dump truck drivers hold the responsibility to load the truck either making use of the hands or by utilizing some kind of mechanical loader. Truck drivers move to and from locations and in and out of the dumping sites. Moreover, these drivers are the ones who take control of the mechanism of dumping the contents. It is important to acquire a commercial driver’s license through the department of safety. The license must be issued according to the state from where the driver lives. Dump truck drivers drive trucks of different gross vehicle weight however there are cases that the truck is more than 26, 000 gross vehicle weight requiring a commercial driver’s license in majority of the states. A CDL (commercial driver’s license) is a requirement for the dump truck operators all throughout the nation. The American Association of Motor Vehicle Administrators is providing a CDL manual but with the recommendation of the applicants to have the completion of the Professional Truck Driver Training certified course. 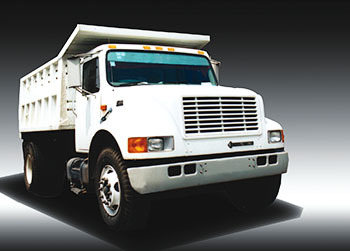 A Class B CDL license is what the driver needs to obtain in order to operate vehicles including the dump trucks. This allows the driver to maneuver commercial trucks which have attached cab and a cargo area having a combined weight of more than 26, 000 pounds. The driver can also control the trucks having a detached towed cargo vehicle weighing below 10, 000 pounds. The federal government is the one that established the minimum requirements to earn the CDL license. The requirements may vary according to state however they need to be as strict as the federal regulations. The CDL testing can be conducted by the state or by an authorized school or training program. Community colleges and vocational schools are offering the Class B CDL training programs for the provision of training in both the knowledge and skills necessitated in passing the state CDL examination. The length of the program differs according to the school however it needs to be finished in four weeks or less. For the first few training days, the students are being taught of traffic and trucking laws which are applicable to the CDL manual as well as the federal safety regulations of the state. Furthermore, the CDL training programs for dump truck drivers will need the applicants to possess a Class B CDL learner’s permit that is usually obtained by taking a test. Additional requirements will include the minimum age of 18 years old, a holder of a valid driver’s license with no infractions, and completion of medical tests or drug test. Visit this page about how to get a CDL for more detailed information for your specific state licensing.